This album is dedicated to the memory of Mrs. Avis Parsons, Gram’s mother, Paul Lewis Surratt, Sr., Paul’s father; and Mike Bixel, the Shilo’s most devoted fan. 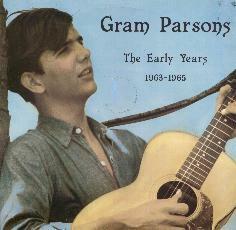 This album of early tapes by Gram Parsons with the group, The Shilos, has been issued by Sierra/Briar Records partly as an historical record illustrating the development of Parsons as a gifted performer and songwriter; and partly as a means of demonstrating our respect for and thanks to an artist who has given – and, through his later recordings, continues to give – joy to countless fans around the world. May his legend never stop growing.